A neighborhood at the east of the town center, Nativa abuts a sloping forest on the 4,900-acre decommissioned Howard Air Base. The 950-acre plan creates a network of six blocks with seven east-west streets punctuated by a variety of public greens that connect the town center to the forest edge. 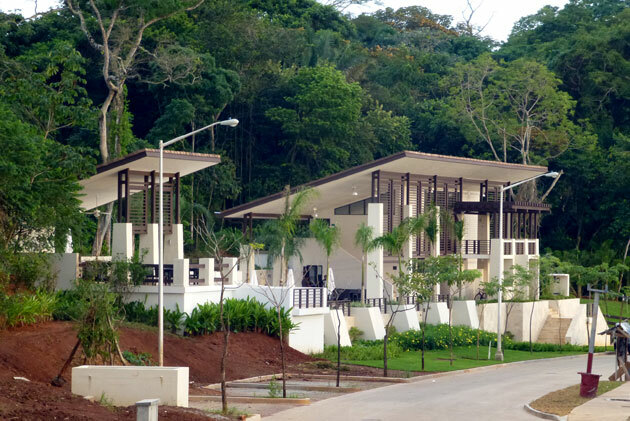 The central street terminates above the town center at a clubhouse where the jungle canopy blurs the line between wilderness and community. The 126 lots are modeled in four detached and attached single-family dwelling types of various sizes. All homes are designed as massing variations of ground-floor typical plans with atypical upper-floor plans. Privacy walls create a mediating frontage to the streets, accented by gates, trellises, screens and vines that add color to the streetscape. 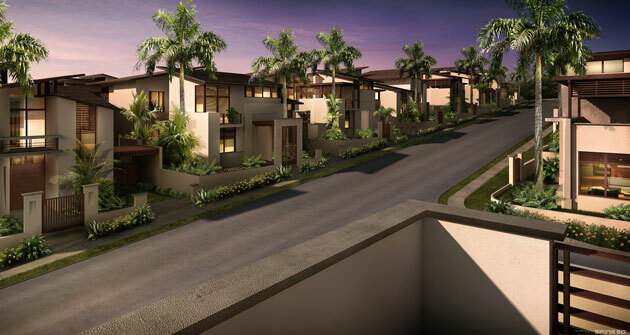 Carefully designed in response to the tropical climate, all houses feature rooms with natural cross ventilation and a variety of screens and louvers that also create a rich architectural vocabulary throughout the neighborhood.